Go Long! 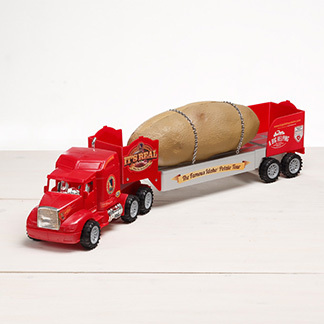 Big Idaho Potato coming your way! 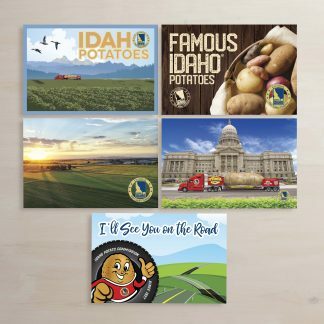 Hello Big Idaho Potato fans, it’s Jessica, Tater Twin 1.0 here!Before I tell you about our amazingly awesome week, I want to thank all of you who read this blog! 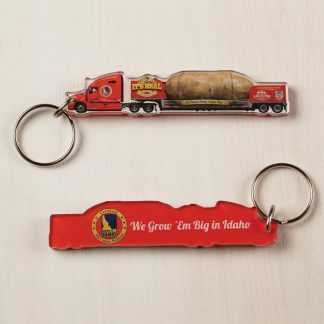 Whether you’re a potato enthusiast, Idaho Potato Commissioner, event coordinator, or my mom reading this, I want to thank you for following our page and for your support. The team and I love what we do and it is the support from fans that keep this tour going! I feel so lucky to wake up every day excited to go to work and meet great people across America! We truly have the best job in the world and we’re so proud to spread potato joy and represent 700+ IPC farmers across the country! 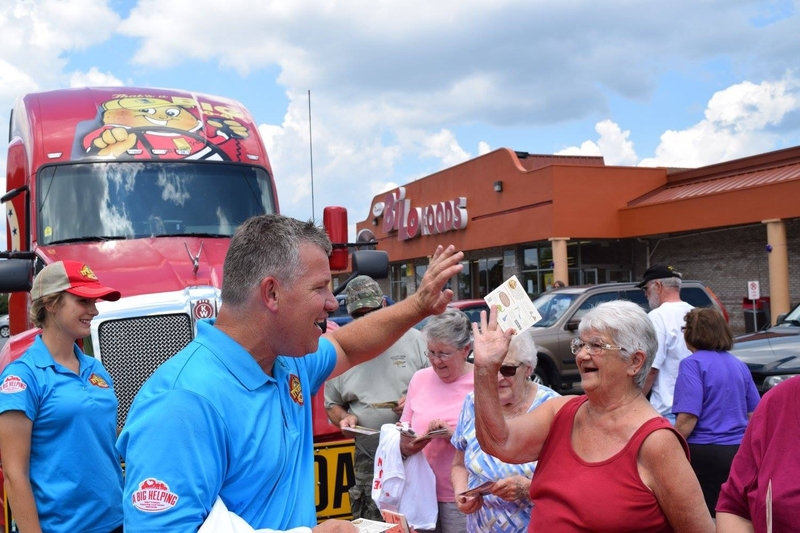 The Tater Team loves meeting great fans across America! This week we spread the potato joy in Pennsylvania at two Randy Bi- Lo Market locations and at the 2017 Pro Football Hall of Fame! We started the week off at the Randy Bi-Lo location in Windber, PA! Eager fans gathered around the truck as we pilled into the parking lot. We greeted enthusiastic fans and shared info about our 6-Month tour and passed out Idahoan mashed potatoes packets and swag! Visitors were so excited to meet the Tater team and some even asked for our autographs! There was a large turnout at both locations and the team had a fantastic time meeting the Windber and Johnstown locals! After our event in Pennsylvania, we set off to Canton, Ohio for the 2017 Pro Football Hall of Fame. The first professional football team started in Ohio in 1892 and it is something they take pride in! 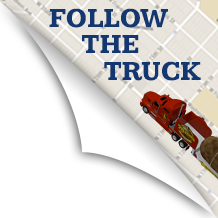 The Big Idaho Potato truck was invited to the 2017 Pro Football Hall of Fame Repository grand parade! 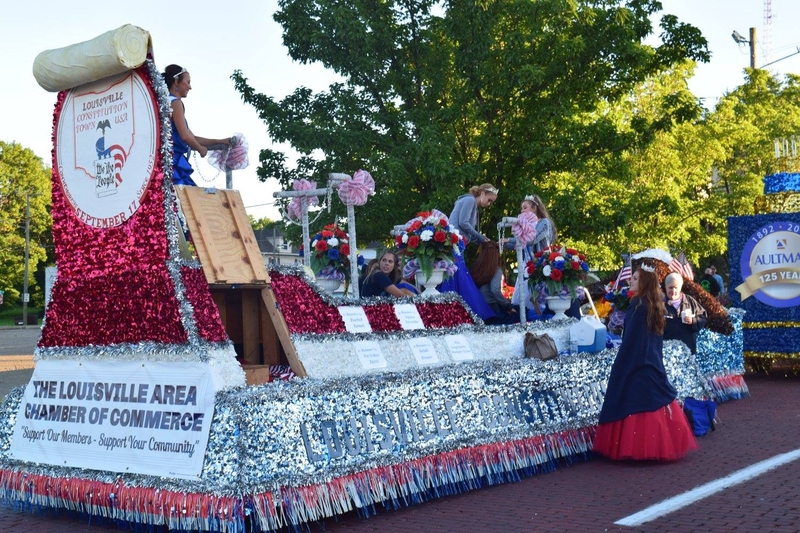 We were honored to be a part of such a celebrated and well known event and parade! The Pro Football Hall of Fame parade is one of the largest parades in America! This year there was an estimated 200,000 fans lined up on the 2.2 mile parade route! Floats, balloons and trucks like the Oscar Myer Weiner mobile filled the streets during the parade! Attendees had great energy during the parade and fans cheered on the truck as it went by! The Tater team was accompanied in the parade by Commissioners Randy Hardy, Tod Schmidt, Matt Brigotti and their wives Karlene Hardy, Virginia Schmidt, and Samantha Brigotti! We had such a great time in the parade and it was even feature by ESPN during the parade! Chamber of Commerce parade waiting before the HOF parade! 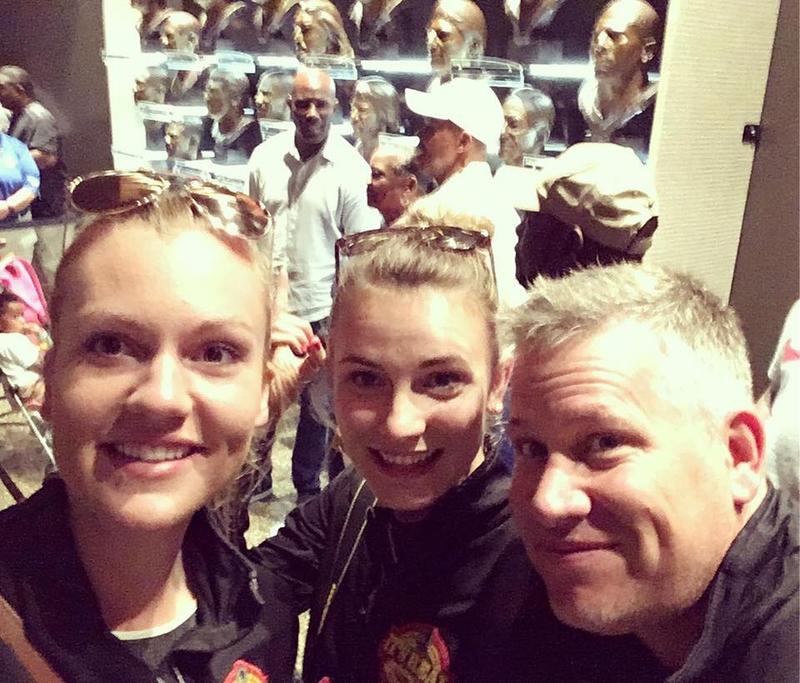 The team also went to the Hall of Fame museum and learned about the history of pro football! We were also able to see the collectable player cards and learn how the sport has progressed over the years. The super bowl rings from the years were on display at the museum as well! Seven Football players were elected to the Hall of Fame this year and each player got bust to go in the prestigious collection. While we were viewing the new busts Terrell Davis from the Denver Broncos was viewing his newly installed bust! He even photo bombed the team in their selfie….. The Tater team being photobombed by Terrell Davis! The Randy Bi-Lo market visit and the 2017 Hall of Fame were both a touchdown, and the team enjoyed yet another fantastic week on tour! We are headed to Wyckoff, NJ for a YMCA visit and then onto Seymour, WI for Bugerfest! Stay tuned for more, until next time!